Russia is no longer the USSR. The USSR was the strongest nation in history in military terms, as it had more arms of all kinds than its main adversary, the USA, only with the exception of aircraft-carriers, which the USSR had no need for because it did not need, or want, to project its power on the other side of the world across the oceans. It was the USA that wanted, and still wants, to project power far away from home. The USSR also had a smart strategy concerning these American aircraft-carriers Instead of building a lot of similar and expensive ships, they built missile-cruisers to take out the American carriers in the event of conflict. Technologically, the USSR was in front of the USA in some military areas, while in others they were on the same level, and in some the USSR lagged behind. But it still had superior numbers in all areas (except aircraft-carriers), especially in those where it was behind technologically to compensate for that fact. And, most importantly, the USSR was ahead in nuclear arms in both numbers and technology from the mid-1970’s. After the dissolution of USSR (by treason), Russia found herself behind the USA in all military fields within five years, both numerically and technologically with one exception - nuclear arms. Those large Soviet intercontinental ballistic missiles were what saved Russia from being split up even more. Now Russia has caught up with the USA technologically in all areas, and surpasses them in several. Now, in contrast to Soviet times, Russia is still behind numerically in several categories (again with the exception of nuclear missiles). But Russia does not need to project power far away as I said above. It is enough to dominate the Eurasian land-mass and expel the Americans from her borders and the former USSR. On the economic front, Russia has made huge advances over the last decade thanks to the exports of gas and oil. Hence why now the USA has declared war on Russia not only be means of sanctions, but even more so with artificial pressure on oil prices (they are helped in doing this by their Saudi Arabian slaves). “Our partners" have forced other countries in Europe to join the sanctions and reduce trade. Furthermore, ”our partners" have changed the rules of the IMF (International Monetary Fund) and the World Bank so that Russia would not regain the money it lent to Ukraine before the Nazi coup d’etat in Kiev. Also, "our partners" have forced banks and institutions to not give credits to the Russian economy. All of this, of course, is because Russia does not accept the Nazi junta in Kiev and also does not accept American hegemony. All talk from the USA about "freedom of markets" is only a way for them to use their companies and economic institutions to dominate other countries. Russia must free herself from economic dependance on the West; they are not trustworthy - that is a fact that has been proven many times! Thus, the Russian Central Bank must be controlled by the Russian government. Russia is also more democratic than the USA. The latter is a country that is built on the blood of innocent people. They killed 95% of the Native American population, took over half of neighboring Mexico, dropped two nuclear bombs on civilian targets in Japan when that country was already defeated, invaded or staged coups in over forty countries since 1945, kidnapped Russians (and others) all over the world and put them in jail on false charges, and broken any and all promise to anyones about anything at any time. And you think they are trust-worthy? Just a quick look at their so-called democracy reveals that it is not at all democratic. Presidents get elected by less than 25% of the electorate and people have to register to vote, the process of which is complicated and biased against blacks and latinos. Thus, not everyone gets the chance to vote. Of those registered, only about 50% actually do vote and they elect the president with a strange, un-democratic system. There are only two parties that rotate in and out of power, and the difference between those two parties is minimal. Actually, there is no choice at all. “Shall we spend 100 billions on arms or 102 billions? Shall we invade Iraq first and Iran later or Iran first and Iraq after? Shall we support Israel or condemn Palestine? Is Putin a "murdering fascist" or is he a "fascist murderer”?" These are the "differences", the "choice" between the two American parties. In Russia, there there are at least four or five parties with some real differences in their respective political agendas, except I hope, for one - Russia does not betray her own (at least in theory), and "her own" should mean Novorossia, and Malorossia too. So what can we learn from all of this? Some say that Russia should be content with being "just Russia", but Russia today is less than "just Russia". "Just Russia" includes Belarus, Novorossia, Malorossia, Transnistria, the Baltics, and Central Asia. All these regions do not need to be inside the Russian Federation, but they need to be pro-Russian and inside the Russian World. A country with over 1000 years of history, a country that stretches from the Carpathians to the Pacific Ocean and from the Arctic to Central Asia is not "just any country"! The Russian World includes 200 million people of which about 50 million are outside of current Russia, but nonetheless they are Russian, whether they know it or not, and must be included. And in building "just Russia", the first and most important step is to liberate all of Novorossia, from Kharkov to Odessa, and Malorossia too, from the Kiev Nazi junta. 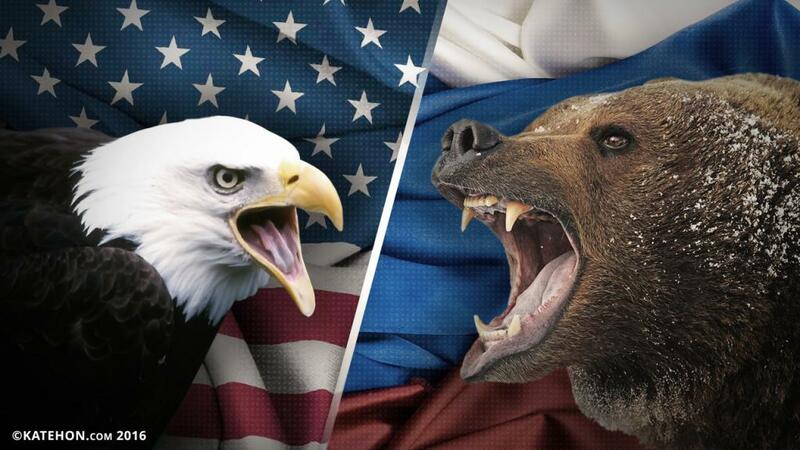 The US Department of State has mentioned the possibility of new sanctions against Russia over the situation in Syria.